In just a few days majority of the automotive world will gather together in Las Vegas for one of the largst automotive shows on earth, SEMA. With 70,000 cars and 2,400 exhibitors SEMA is quite large and can be difficult to catch eveything in one week. 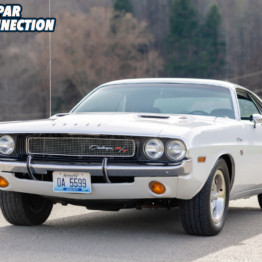 Try to sift through all the cars and vendors finding Mopar products can be tough. 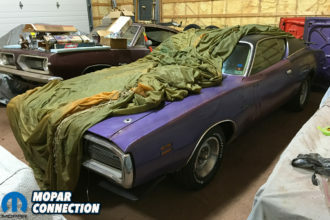 If you are limited on time or can’t stay for the full event, you could easily miss out on many Mopar products and cars unless you devise a plan of attack. 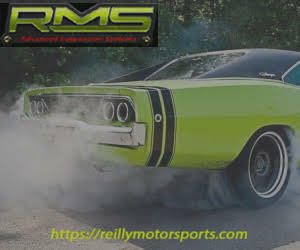 We have taken the time to research and gather some must see Mopar products and cars along with their booth numbers to make navigating SEMA a little easier. 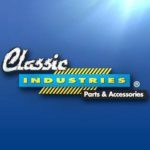 It’s no surprise that you will find products from Classic Industries scatter among many Mopar project cars at the SEMA show. Although they will be in attendance with many great products, they told us the Mopar you need to see will be on display at booth #60006. Graveyard Carz will be there with another incredible build that has half of Classic Industries catalog. 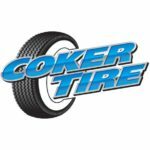 Coker Tire will be at SEMA in full force. They will be spread out in multiple booths showing off their wheels and tires. 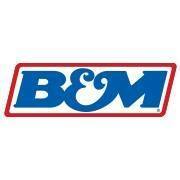 They will even have the giant Coker Tire inflatable there. 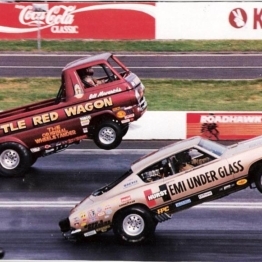 If you are thinking about some new rubber but want to keep that classic look they will have their Wide Oval Radials and Redline BF Goodrich Silvertown Radials on display as well as many others. 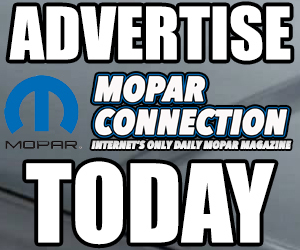 If you are in need of some Mopar wheels for your new rubber be sure to check out their Magnum 500 or Rallye wheels. If nostalgia performance is your style they have plenty of classic drag raving tires and wide wheels to match. 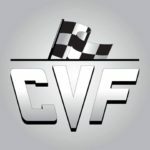 Recently Orange Crush received CVF’s Wraptor serpentine kit which you can read all about here. Their pulley kits look good in photos but are much more impressive in person. 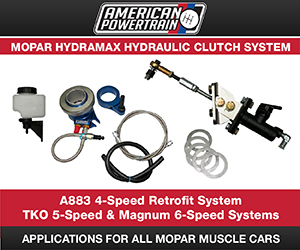 They will have their big and small block Wraptor kits on display along with many of their other great pulley systems. They also have some new products releasing and lets just say one of them wont have 8 cylinders. 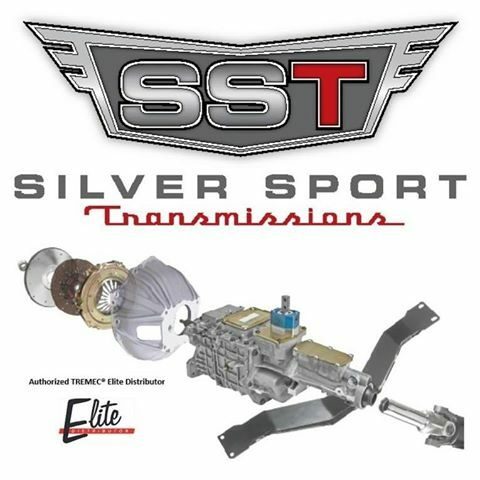 Although neither Silver Sport Transmission (SST) or Reilly Motorsports (RMS) will have booths at this year’s SEMA show their products will be found on many different Mopars. 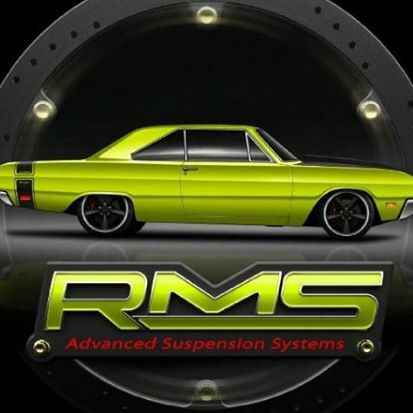 Throughout the year there are many cars and companies that the guys at SST and RMS work with. 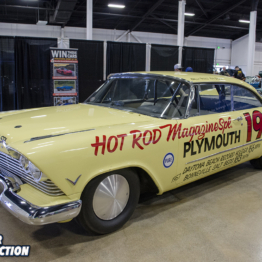 Many of which end up at shows like SEMA but For them to keep track of every car that might end up at SEMA or any other iconic show is impossible. Although there is one bird that they know will be in attendance and that’s Bair Customs Ragingbird. 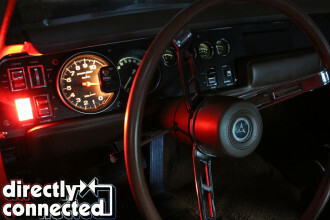 If you don’t know the car you can click here for a full recap, but we will warn you the pictures don’t do it justice. You can find the car in the Sherwin Williams booth #10639. 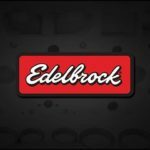 Since SEMA 2016 Edelbrock has released a lot of new products for our Mopars. 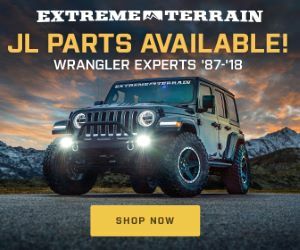 From Pro-Flo 3 EFI systems, Gen III HEMI Performer RPM heads, Victor EFI intake, Jeep 4.0 Performer cylinder head and much more. Rumor has it that the year isn’t over and might even be some more announcements made. You can see all of these products along with many others in the Edelbrock booth at SEMA this year and who knows what they might have in store for us. 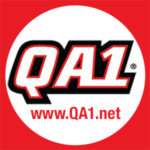 QA1 will be have their new 2015-2017 Dodge Challenger SRT Hellcat REV Series Carbon Fiber Driveshafts on display. Carbon fiber driveshafts have really proven themselves in the last couple of years and QA1 is leading the way. Their REV Series driveshafts have been withstanding the abuse of racing and incredible horsepower numbers. These driveshafts are a piece of artwork and process is even more incredible. 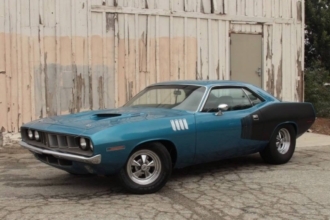 QA1 will also have a slew of performance suspension parts for our classic Mopars as well as many builder parts if you are looking to build your own. 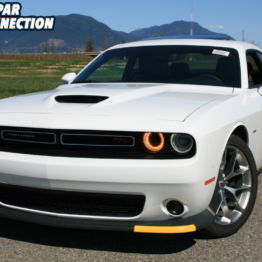 The power steering experts Borgeson Universal will be in attendance with their Mopar power steering conversion box. 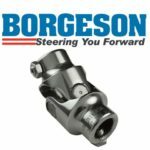 Although there power steering box is not new to the Mopar world, Borgeson has told us that it has been one of their most popular items. Built with all new parts, smaller housing and 14:1 quick ratio we can see why. Manual steering is no fun but those big blocks take up a lot of room under the hood. Stop by and see the difference for yourself. 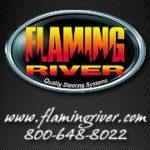 Flaming River Industries steering columns will be found in many different builds throughout the show. One of their favorite builds this year for SEMA was a 1971 Jeepster body that was put on a 2017 Jeep frame. They said the Jeep looks like it was meant to be. You can find the Jeep at the Synergy Manufacturing booth #37151. 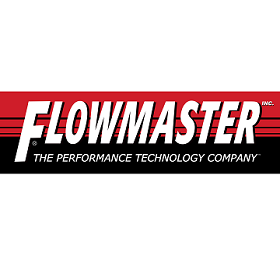 You can imagine that one booth wouldn’t be able to contain all the excitement that Hurst, Flowmaster and B&M brings to SEMA. 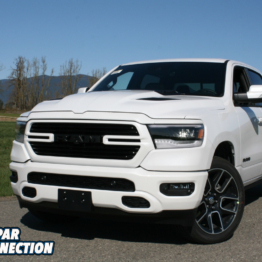 You will be able to see their new Delta Force cold air intakes for many of modern Mopars along with full exhaust, shifters and much more. 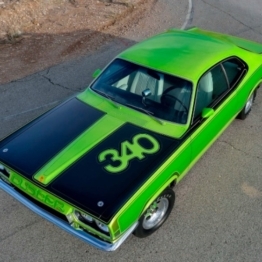 The Hurst booth #22351 will be housing Larry Weiner’s latest creation, a 2017 Hurst Heritage by GSS Hemi Classic Challenger. 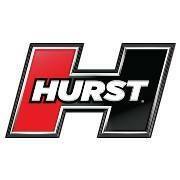 The car will feature all of Hurst’s Elite Series products along with Flowmaster’s new Delta Force cold air intake. Be sure to stop by the other booths to check out many other great parts for your Mopar while you are at the show.